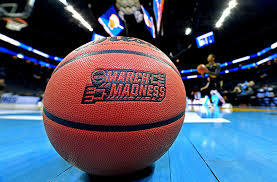 Potential Bracket Busters in this years NCAA Basketball Tournament. Everyone who makes a March Madness Bracket sees optimism destroyed within hours of the tournament beginning. A 14 seed beats a 3 seed, and a 12 seed beats a 5 seed and all of a sudden your seemingly perfect bracket is at 33%. The way I am approaching my bracket this year is to try to predict the utter craziness this tournament has the ability to provide. Last year, and I’ve been bragging about this for a while, I predicted 3 of Loyola Chicago’s 4 upsets on their eventual route to the Final Four. This year I have a lot of crazy occurrences and sleepers in my bracket. Without further adieu, here are some potential sleepers that I could see making some noise in the NCAA tournament. The Wofford Terriers haven’t lost a game in 20 matchups and I have picked them as my “new Loyola Chicago”. The Terriers don’t have Sister Jean Dolores Smith, who inspired Loyola Chicago throughout their Cinderella run, but they do have something in common with Wolves. The Wolves of Loyola Chicago won many of their games in the tournament by the way of late-game three-pointers. The Wofford Terriers have a three-point shooter in Fletcher Magee that may be one of the best in NCAA history, and as a team, they are shooting 42% from the arc. The Murray State Racers could very well pull off an upset or two this March. 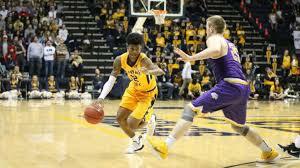 They are lead by exciting guard Ja Morant who will likely be a lottery pick or even a top 3 pick in this summer’s NBA Entry Draft. They are on a winning streak that is not quite on Wofford’s level of 20 games, but still very conspicuous, having won 11 games in a row. The Racers are one of the nations highest scoring teams and are coming up against Marquette who let up near 70 points a game. There is clear potential for a first-round upset in this matchup. There always seems to be a crazy upset in the first few hours of the NCAA tournament that catches everyone by surprise. Here it is. Yale will beat LSU on Thursday in Jacksonville. They’ve done it before, famously taking it to Baylor in the first round in 2016, even outrebounding the Bears in a massive upset. Obviously, though, that was three years ago and this is a college tournament. So why will this Yale team beat LSU? For one, all the pressure is on LSU. They’re a three seed that a lot of people view as generous, and they will be playing under an interim head coach, as Head Coach Will Wade has been suspended due to his involvement in a pay for play scandal. Psychology has a massive impact on sports at any level, and I see this LSU team as a team that’ll beat itself. And of course, you need that opening upset to start March Madness, and Yale vs. LSU is the second game on the schedule. Every other Cinderella candidate that I’ve mentioned has already gotten some attention as potential upsets. Old Dominion hasn’t, and there’s always one or two you NEVER saw coming. Here’s mine. They’re playing Purdue, a generally strong team, but again there’s always one that’s truly unexpected. 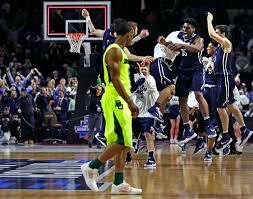 Buffalo beat Arizona last year, who were seen as Final Four contenders. Middle Tennessee took down Michigan State as a 15 seed in 2016. Old Dominion will beat Purdue in 2019. 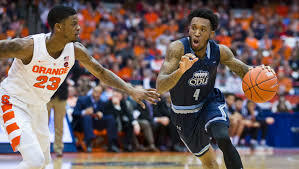 Old Dominion has two strong wins in their resume over teams placed in 8 seeds in this year’s tournament, beating Syracuse and VCU. There’s a chance for drama with this Old Dominion team if you feel so inclined to take the risk of clicking their logo on your bracket.